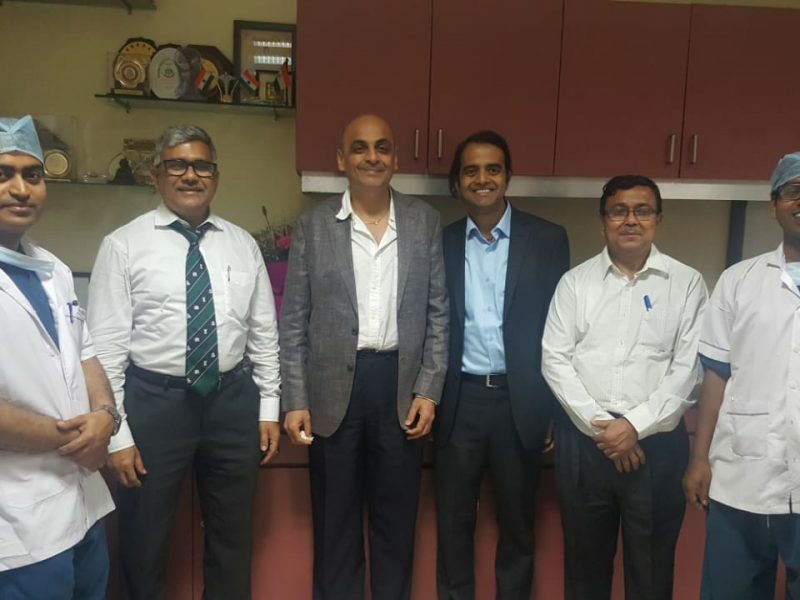 Nanavati Super Speciality Hospital in association with Kings College, London launched a revolutionary treatment that will change the way Parkinson’s has been treated in India. Apomorphine Pen & Pump, the treatment that will radically change the life of a Parkinson’s patient will now be available in India. The treatment was launched in Mumbai on Wednesday by the Health Minister of Maharashtra, Dr. Deepak Sawant and Mr. Paresh Rawal, Actor and Member of Parliament. Parkinson’s disease is one of the common neurodegenerative diseases affecting the people over the age of 55 years. Parkinson’s is characterized by slowness, stiffness and tremors are a special neurodegenerative disorder with very few therapeutic options available. In India, the prevalence of this disease advances between the age of 70-79. It is caused by dopamine deficiency which is a chemical neuro transmitter in the brain mainly in the centers controlling the mobility. Apomorphine is a highly selective Dopamine receptor stimulator, which promotes the release of dopamine in the brain from the nerve cells that is otherwise absent. Speaking about the launch, Dr. Vinod Metta, Movement Disorders Specialist from London, UK, who is leading one of biggest set of patients on Apomorphine in United Kingdom, told that Apomorphine pens work dramatically with giving benefits to patients within couple of minutes and are very similar to usage that of Insulin Pens.